PlayerUnknown’s Battlegrounds (PUBG) is a online multiplayer battle royale game published and developed by PUBG Corporation, a subsidiary of Bluehole. The game was inspired by a Japanese film Battle Royale, and has sold over 50 million copies worldwide within a year of its release. With over 400 million players across 5 platforms, PUBG is one of the most played video games. The main objective of the game is to be the last surviving player/team in the game. Up to 100 players, 50 duos (teams of 2 players), or 25 squads (teams of 4 players), are battling each other in the game. Players can choose to actively seek out and eliminate enemy players, or simply hide and avoid being killed while other players are battling each other. 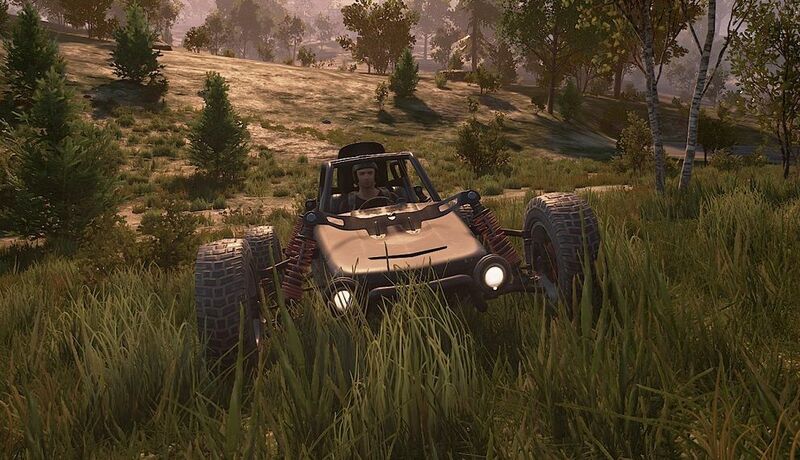 Players are able to pick up healing items to regenerate health during the game, and can operate vehicles, on both land and water, to move around the map. Random supplies will also drop from a passing plane in a crate, free for any player to claim. Random areas will also be bombed from time to time. 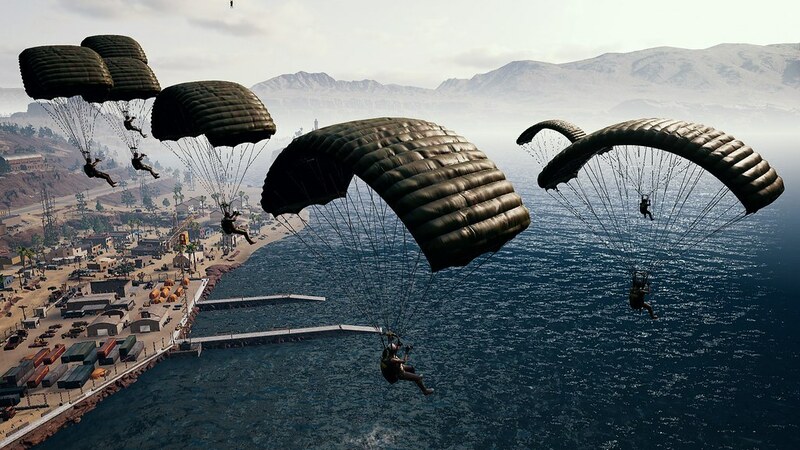 Players are parachuted onto an island to scavenge for weapons and supplies to survive the battle, with the objective to be the last remaining player/team. After certain timed stages, the playable area in the map shrinks, and any player outside the playable area will take damage incrementally. Players have to stay in the safe zone (playable area) to ensure survival. The maps are vast, and players can enjoy exploring every area in the map (if time permits). Due to the different terrains in different maps (lush grasslands, barren dry deserts, snowy plains, urban landscapes), players have to adjust their game-play according to the environment they are playing in. There are also weather changes in the map that can affect the game-play heavily. Night-vision goggles can also be picked up to enable players to see in the night. Aditionally, elements like fog and thunderstorms can mask the sight and hearing of players. 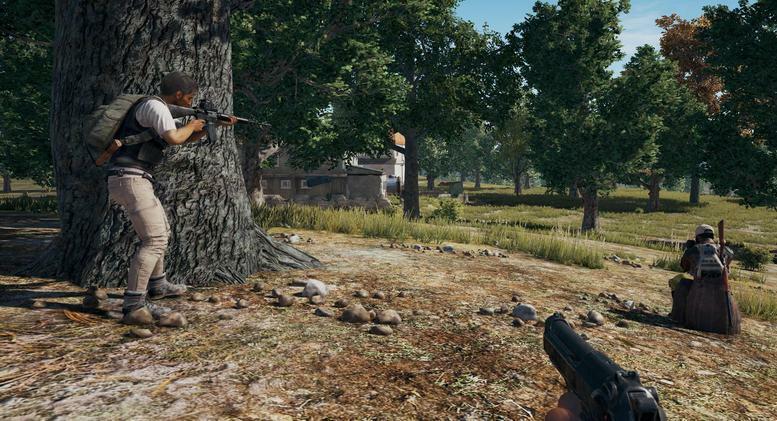 PUBG is available to play on Microsoft Windows, Xbox One, Android, iOS, and PlayStation 4. You might require a PC or mobile device with slightly higher end specifications for PUBG to enjoy the best graphics that the game can provide. At first glance, one might think that the only skill needed in PUBG is aiming. However, the game enables players to make use of other different skill-sets to ensure survival. For example, a familiarity of the map gives a player a huge advantage, as you will know where to find the most weapons and supplies, where to hide to gain the upper-hand on your enemies, and what path to take to best advance into the safe zone. Additionally, the skill to dodge enemies shooting at you requires experience and practice. The time taken to recognize the direction from where your enemy is firing at you is crucial, and can decide whether you live or die. The skill to quickly decide where to aim/hide takes lots of practice to hone. Sometimes, the skill to commandeer your vehicle effectively can also win you the fight, or even the game. Being able to drive at high speeds while avoiding buildings and trees, and running over enemies, can prove useful if you are lacking in the other skill areas. When the game starts, players can choose where in the map they want to start by aiming their character’s flight path towards the desired area. Players have to make the choice of whether they want to go to an area known to have an abundance of supplies, fighting off other players who choose to do the same, or to go to a more secluded and hence safer area of the map to start their game. There are many different weapons in different weapon classes in the game. You can choose from snipers, assault rifles, machine guns, sub-machine guns, shotguns, and a crossbow. Each player can only hold 2 of these types of guns, with 1 handgun and 1 melee weapon. Knowing which weapon to hold at which stage of the game can increase your chances of surviving any enemy encounters. Choosing your hiding spot in the game can also be crucial to surviving, especially in the final stages of the game, when the safe zone gets very small. Conquering the correct high ground can keep you safe, and give you an excellent vantage point to spot enemies and take them down. Most players find that playing in a squad (team of 4 players) is the best way to experience the game. In a squad, cooperation is key, and knowing how to allocate the limited supplies among each player in the team will help your team go far in the game. Sharing weapons and healing items is essential to ensure survival. It is also important to know how to engage enemies as a team. Watching each others’ backs, and communicating effectively the position of enemy players, will help your team to avoid and take out enemies easily. PUBG has the feature to communicate with your teammates via the in-game microphone and speaker. Being able to constantly engage in active communication with your teammates adds a new element of fun to the game too. The main obstacle in the game is every other player. At the start of the game, players are usually busy finding weapons and supplies. However, as the game progresses, the level of difficulty usually gets higher as you can expect surviving players to be better skilled at the game. The game-play gets more intense, as players are more careful as they traverse the terrain, looking to take out enemy players while avoiding death themselves. The other obstacle is the safe zone. As the game progresses, the safe zone gets smaller. Staying outside the safe zone means losing health incrementally to the blue zone closing in, and if you do not rush to get into the safe zone, you might be eliminated. As the game enters its final stages, staying outside the safe zone deals more damage to the player, and players must avoid both enemy players and the blue zone creeping in. There are many aspects of the game that a player can try to master. Other than the skill elements of the game, players can also try out-of-the-box strategies to increase their chances of survival. You can even take out better-skilled enemies with the element of surprise on your side. Even though the standard game-play does not change much over time, different new maps can change minute details of how one approaches the game, and keeping the game fun and exciting for players.